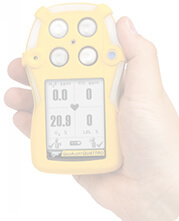 Designed with durability and comfort in mind, the GasAlert Extreme reliably monitors for any single gas hazard within its wide range of available toxic gas models. With easy on/off operation, this single gas detector offers extended longevity with a two year fi eld-replaceable battery and sensor. Calibration is a simple automatic procedure and is compatible with BW's MicroDock II automatic test and calibration system. A wide range of user options, multilanguage display and datalogging functionality make the GasAlert Extreme an ideal solution for many applications. The BW Technologies replacement carbon monoxide sensor is a reliable and accurate single gas sensor that detects gas within the atmosphere. For use with BW Technologies products, the replacement carbon monoxide sensor is designed to easily and conveniently plug into the gas detection system. BW Technologies produces a wide range of replacement parts, sensors, gas detection systems, and useful accessories to complement their gas detection product offerings. The BW Technologies replacement hydrogen cyanide sensor is a convenient and affordable replacement part. During regular check-ups and maintenance, users may discover that the sensors need replacing. Luckily, BW Technologies produces a full range of single gas, multi gas, and gas resistant replacement sensors. The sensors have a convenient plug-in design and are suitable for a variety of BW Technologies products. To ensure compatibility, please consult the gas detection device s product specification sheet. *The Gas Alert Extreme is so Water Resistant that the U.S. Coast Guard signed a contract to use them exclusively in their operations Are you looking for an extremely easy to use, reliable, and waterproof single gas instrument? Then the Gas Alert Extreme is the instrument you need. How easy is the Gas Alert Extreme to use? All you need to do is turn the instrument on and that's it. No complicated settings and nothing else to do. If you would like to view the peak readings or OSHA STEL and TWA readings, simply press a button. In fact the Gas Alert Extreme is so easy to use that you don't even need to turn it off if you don't want to. The 3V Lithium Ion camera battery will last two years running continuously, is easily changed, and available at any location that sells batteries. The alligator clip is extremely strong and will securely attach to your belt or shirt pocket without worrying that it will fall off. There is also a D-ring which can be used for tying on a rope for hanging or lowering into a confined space. This D-ring can also be used to attach a lanyard to the gas alert extreme for wearing around the neck. One of the most impressive featues of the Gas Alert Extreme is the ability to be completely submerged without damage. If you or your workers have ever dropped a unit in water, or forgot it outside in the rain you will instantly recognize how valuable this is, because other units that are less water resistant would be destroyed. The Gas Alert Extreme is also extremely durable and will withstand most falls. The case is rubberized and shock absorbing and it will continue to operate even if dropped 15-20 feet or more. 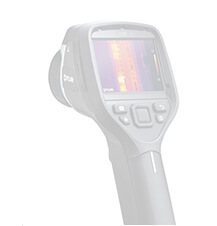 Not an expert in gas detection and gas monitors? Not a problem with the Gas Alert Extreme. Just turn it on. That's all there is to it. If the unit exceeds OSHA predetermined alarm limits it will go notify you with 3 different alarms. Three extremely bright red leds surround the top of the instrument. A loud 95 decibel audible alarm is ear splitting, and a vibrating alarm is also included. Bottom line, if the Gas Alert Extreme goes into alarm it is almost impossible not to notice. 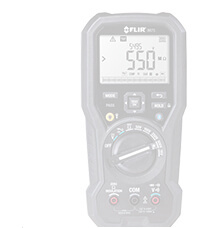 This is extremely important for safety applications since other lesser quality instruments often have dim LED's or low sounding audible alarms. The Gas Alert Extreme gives you all of the protection you need to be safe from dangerous gasses. If you find that you want to change settings on the instrument this is extremely easy as well. Simply press two button to enter the user menu and all of the instruments settings can be modified. For example if you wanted to change an alarm point or anything else everything is fully customizable. 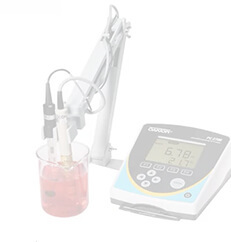 One of the most common questions we receive is about calibration. Calibrating the Gas Alert Extreme couldn't be easier. Simply hold down two buttons simultaneously for 5 seconds and the instrument will go into calibration mode. Just attach your calibration gas when it tells you and when it's finished it will beep to let you know it's done. That's all there is to it. Don't want to calibrate? Not a problem. 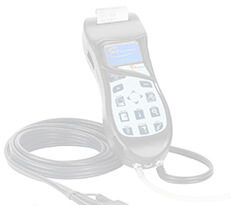 The Gas Alert Extreme's calibration is good for 180 days. Simply send it in to be factory calibrated twice a year and there's no need to worry about calibration. All of this in a size that is less than three ounces and about the size of a pager! We're confident that the Gas Alert Extreme will be the best single gas monitor that you've ever used! If you don't agree just return it within 30 days for a full money back guarantee. For the world s finest gas detection systems, BW Technologies is a global leader. 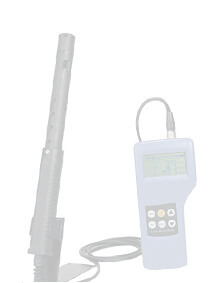 The company produces a wide range of gas detection solutions that are capable of meeting the many unique needs of its customers. In addition to its gas detection products, the company produces accessories, sensors, and replacement parts. The replacement phosphine sensor is compatible with several BW Technologies gas detection models. To ensure compatibility, please consult the product s specification sheet.